Visit our dedicated 50th anniversary website at SeedNurtureFlourish.net – now live! 50 years is a long time in anyone’s book; in 2016 we will be celebrating this major milestone at Rehoboth. 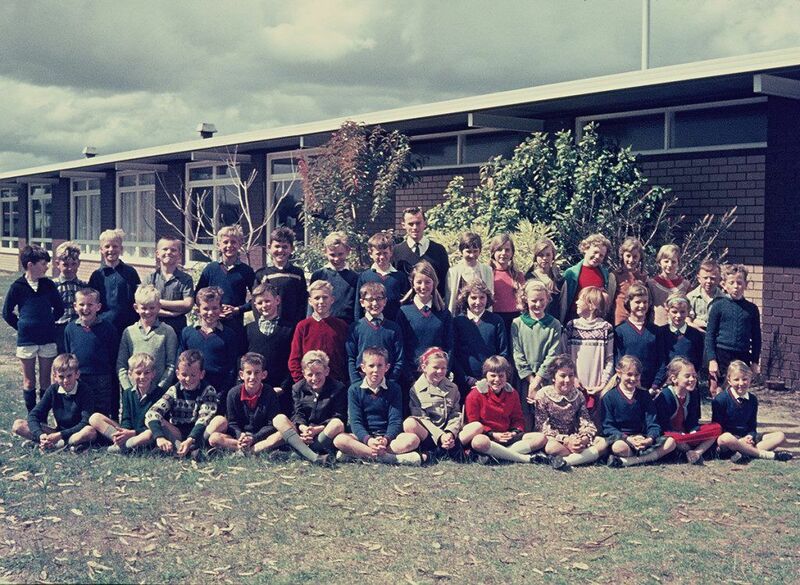 Our doors first opened on 14 February 1966 at the Wilson Campus, before expanding to include a secondary school and second primary school at Kenwick (you can read more about our history here). We have learned a lot about what it means to operate a Christian school and provide a unique Christian education over that time, but we are also continually looking for ways to improve and innovate. We believe you will find our 50-year heritage bears this out in many and various God-honouring ways. We’re sure you will agree that it captures a strong sense of vibrancy and life, which links well with our anniversary theme of seed, nurture, flourish. The logo will be in official use from the beginning of Term 3 2015, through to the end of 2016, our anniversary year.Special congratulations to Rowell Sarmiento (Year 11) and Eve Gibbon (Year 7), who were joint First Prize winners. Congratulations also go to our runners-up, Tiani Klomp (Year 8) and David Toluwade (Year 6), who have all received their prizes at assemblies over the past few weeks. We also wish to thank all the other students who entered the competition – the calibre and creativity of entries was excellent! Our anniversary celebrations were centred around a weekend’s worth of activities held 1-3 April. The events included a Board and Staff Dinner, inviting past and present Board members and staff to enjoy a formal dinner. Our Re-dedication Service acknowledged our heritage, giving all the glory and honour to God. We were able to get a taste of what Rehoboth was like from members of the original 1966 class and staff. The Concert and Family Fair invited all our community to join us at Kenwick for an afternoon of amazing performances and entertainment, while our Thanksgiving Service was an opportunity to celebrate God’s good work at Rehoboth in a cross-denominational service. Our 50th anniversary couldn’t have been the huge success it was without the invaluable support and commitment of our volunteers. We would like to sincerely thank each and every person who gave of their time and resources to assist with the planning, coordination and running of events. This was a massive undertaking, and the spirit of community was evident throughout the Celebration Weekend. We will be maintaining the anniversary website at seednurtureflourish.net and continue to ask for photos, videos and other memorabilia about Rehoboth, from any time period. Since there is only so many pages in the commemorative book, we will use the site to continue to post these items of interest. If you’ve been holding onto footage or photos from musicals, concerts, fetes or event just views of the classroom or students at play, or you know of someone who has (grandparents, uncles, aunties, or past students), we would love to hear from you. Please contact the College by email or call 9452 1833. We will be launching a very special, limited edition book on 14 Feburary 2017 (Rehoboth’s 51st birthday). This book, marking the occassion of the 50th anniversary, offers an overview of our history and is packed with photos, newspaper clippings and links to archival videos not seen in many years. A very limited quantity will be made available for past students and staff to order. For more information, visit the anniversary site.